In this second GTR+ UK publication, we uncover UK trade growth, sectors, partners and risks, complete with comprehensive graphs. In our annual publication dedicated to all things insurance, we take a closer look at the issues affecting the insurance business today. In this second annual GTR+ Africa publication, we uncover Africa’s external trade flows and explore the export prospects that exist for African firms. In this edition of GTR+ Mena, we provide analysis on improved data and revised trade values for the region. With this first-of-its-kind GTR+ UK publication, we diverge from our usual regional coverage to focus specifically on a country that has been dominating Europe's trade-related headlines for the past couple of years. In this GTR+ Europe publication, GTR and Equant Analytics uncover the data that exposes trade ﬂows in and with Europe. In this GTR+ Asia publication, GTR and Equant Analytics uncover the data that exposes trade ﬂows in and with Asia. In our fifth annual publication dedicated to all things insurance, we take a closer look at the issues affecting the insurance business today. In this GTR+ Mena publication, GTR and Equant Analytics uncover the data that exposes trade ﬂows in and with Mena. For this ﬁrst annual GTR+ Africa publication, we have partnered with Equant Analytics, a business specialising in macroeconomics and risk. Published ahead of Sibos 2016 Geneva, this supplement gives you an insight into supply chain finance and technology news. GTR Asia’s 2016 supplement details trade and export finance trends, issues and solutions as seen by banking, insurance, legal and corporate world. The Insurance Supplement 2016 details political risk and trade credit insurance trends, issues and solutions – as seen by the market. With a regional and sector-specific focus, this publication documents the changes in export financing globally. The Mena (Middle East and North Africa) supplement 2016 details trade and export finance trends, issues and solutions – as seen by banking, insurance, legal and corporate specialists throughout the region. This annual supplement offers regional and sector reports on the Sub-Saharan Africa region. It gauges feedback from trade finance experts on Africa’s strengths and the challenges it faces in the market. The Insurance Supplement 2015 details political risk and trade credit insurance trends, issues and solutions – as seen by the major players in the field. 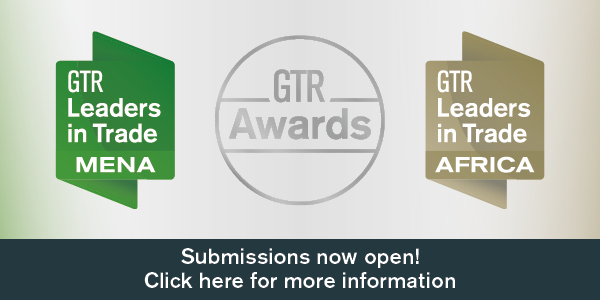 GTR Asia's 2015 Supplement details trade and export finance trends, issues and solutions as seen by banking, insurance, legal and corporate specialists throughout the region. With a regional and sector-specific focus, this publication documents the increases in funding to support exports globally, and gives readers a practical outlook in terms of how successful these initiatives have been. 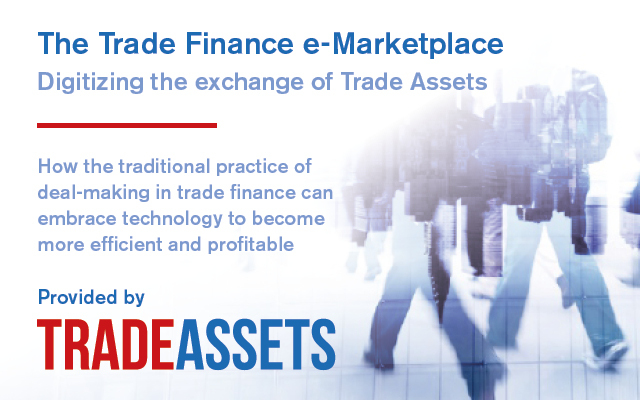 The Mena (Middle East & North Africa) Trade Finance Supplement 2014 details trade and export finance trends, issues and solutions – as seen by banking, insurance, legal and corporate specialists throughout the region. Published ahead of Sibos 2014 Boston, this supplement gives you an insight into supply chain finance and technology news and trends. The Insurance Supplement 2014 details political risk and trade credit insurance trends, issues and solutions – as seen by the major players in the field. GTR Asia's 2014 Supplement details trade and export finance trends, issues and solutions as seen by banking, insurance, legal and corporate specialists throughout the region. Published ahead of Sibos 2013 Dubai, this supplement gives you an insight into supply chain finance and technology news and trends. The Insurance Supplement 2013 details political risk and trade credit insurance trends, issues and solutions – as seen by the major players in the field. 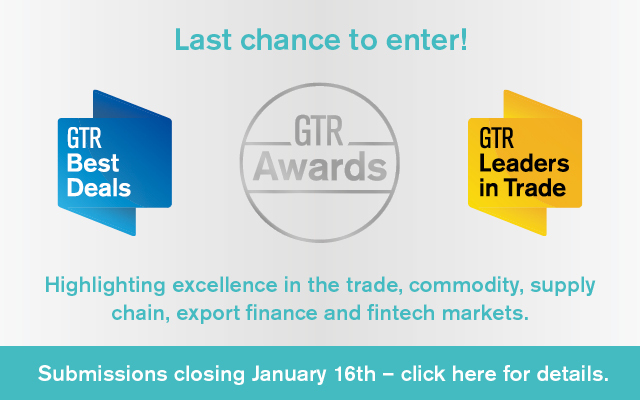 The GTR Asia Trade and Export Finance Supplement 2013 details trade and export finance trends, issues and solutions – as seen by banking, insurance, legal and corporate specialists throughout the region. The GTR Mena (Middle East & North Africa) Supplement 2013 details trade and export finance trends, issues and solutions – as seen by banking, insurance, legal and corporate specialists throughout the region. Published ahead of Sibos 2012 Osaka, this supplement gives you an insight into supply chain finance and technology news and trends. The GTR Asia Supplement 2012 explores the solutions that banks are offering to Asian corporates to meet their trade finance demands and optimise their working capital cycles. The GTR Mena (Middle East & North Africa) Supplement 2012 details trade and export finance trends, issues and solutions – as seen by banking, insurance, legal and corporate specialists throughout the region. GTR's first Export Finance Supplement was launched in 2012. With a regional and sector-specific focus, this publication documents the increases in funding to support exports globally, and gives readers a practical outlook in terms of how successful these initiatives have been. The 2013 edition is scheduled for publication in Q3 2012. Published in Q2 2012, this supplement offers regional and sector reports on the Sub-Saharan Africa region. The publication gauges feedback from trade finance experts on Africa’s strengths and the challenges it faces in the market.